The Children of Morta game-project team is composed of 14 creators in various roles spread across the globe. 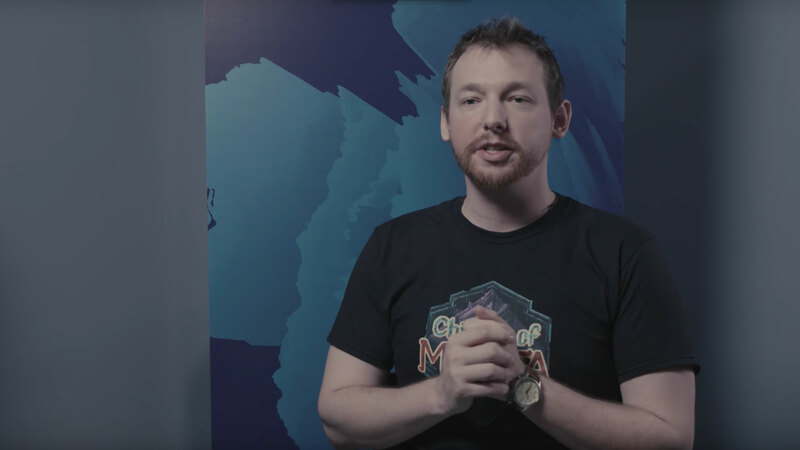 In order to make them work together efficiently as one team, Dead Mage had to take full advantage of Unity’s flexible platform and diverse tools. A combination of strong story, beautiful art, and engaging gameplay all in one great hack-and-slash 2D game. Jakobsen Locke (formerly known as Jacobsen Beck), narrative designer at Dead Mage, describes how custom tools in Unity helped the team work more efficiently. It shouldn’t come as a surprise that both the beautiful 2D art and the adventure narrative in Dead Mage’s 2D roguelike dungeon crawler were influenced by Persian folklore. After all, Dead Mage’s founder and studio leader, Amir H. Fassihi, is originally from Iran. But integrating the fascinating mythological themes of the narrative into a hack-and-slash game, came with challenges. “We wanted the characters and the narrative to be important, but we couldn’t jam a traditional linear narrative into it because it just wouldn’t make sense in the overall game,” says Jakobsen Locke, the narrative designer on the team. Dead Mage’s solution was to create a few key cutscenes that develop the story and present them to players at key points in the game. “One person telling the players the story as they witness it gave us the ability to give players the information they need as quickly as possible, make an emotional impact, and then get them right back into the gameplay,” Locke says. See an example of a cutscene from Children of Morta below. A plan for how to make narrative and gameplay work together is one thing, but when the developers and the narrative designer are in remote physical locations, implementation isn’t necessarily going to be simple. How would Locke get the information he needed from the developers to write the text and integrate the narrative with gameplay? In order to make it more efficient for the developers and narrative designer to work together, Dead Mage extended the Unity editor. “The developers created a few custom tools that allowed me to go into Unity and just quickly jump through all the all the animations. Then, I could write the dialog or text that we needed directly in Unity. So, the extensibility of the Unity Editor enabled us to take what was about a three-day process, and condense it into half a day to streamline the entire process,” Locke says. See the custom animation/narrative design tool below. In addition to customizing Unity with internal tools, Locke points out that tight integration with Excel also made work smooth. He could use the Excel functions to make sure all the text was formulated correctly and fits on the screen. “The way I could just import a formula and it auto-imported all the subtitles just the way we wanted them straight into the game was really cool,” he says. A strong narrative was one part of the skeleton that supports Children of Morta. But at the heart of the gameplay experience is roguelike adventure. Players spend a lot of time in caves, the desert, and the wind temple. “The roguelike elements mean that you’re going to be replaying a lot of game elements, so we wanted to make sure that each play-through was fresh. In order to do that, we needed to randomize it so the player had the ability to find new sets, new power-ups, and so on, in each chapter via procedurally generated scenes,” Locke says. But the procedurally generated scenes meant that load times were dragging. 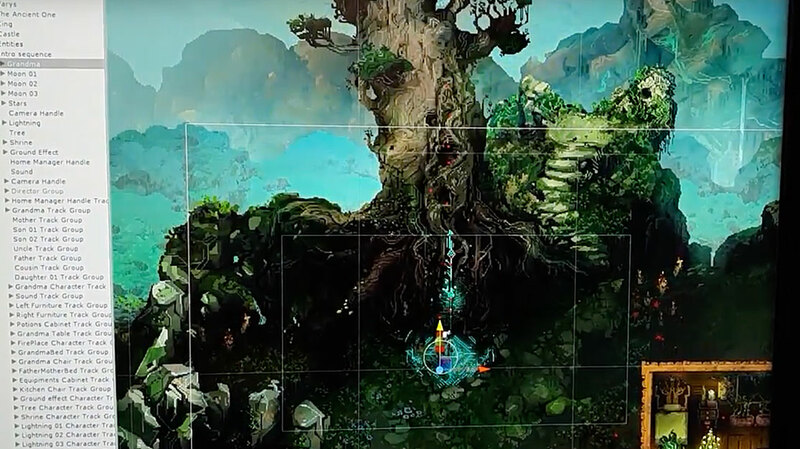 The team couldn’t have all their assets pre-loaded because generating a level could take up to five minutes. Dead Mage worked around the load-time issue by extending Unity with a custom asset-management system. Instead of calling an asset, the custom management system calls the asset data without any of the art and heavy files attached to it. Then using only the light data, they can call up the art needed. “Not only was it a real smooth transition to get our custom asset management tool in there, it reduced our load times from 4 to 5 minutes to 10 or 15 seconds,” Locke says. See Dead Mage’s custom asset manager below. 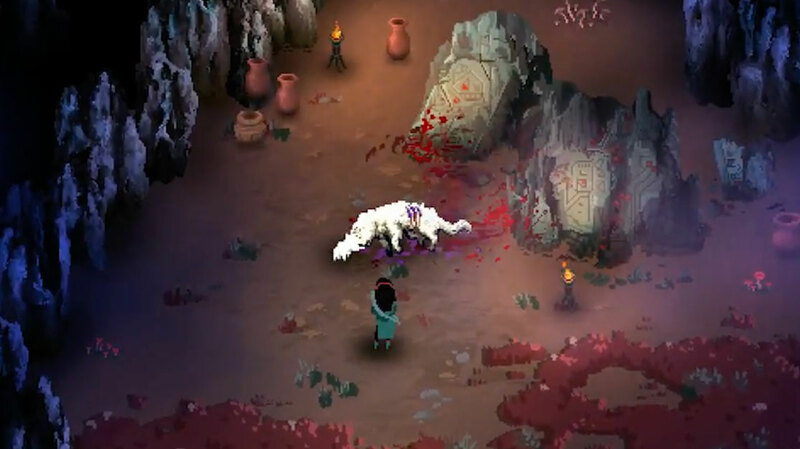 The gameplay in Children of Morta has been influenced heavily by players. What started out as as a small passion project for a few key members of the Dead Mage team soon developed into a Kickstarter campaign, which enabled them to use funders as a test group. With the Unity Engine, they were able to create a fully playable build with many of the core concepts and ideas within two weeks. Once they had that foundation, they continued to make a new build every week with some new ideas in it, so that they could get fresh play testers to come in and check it out. 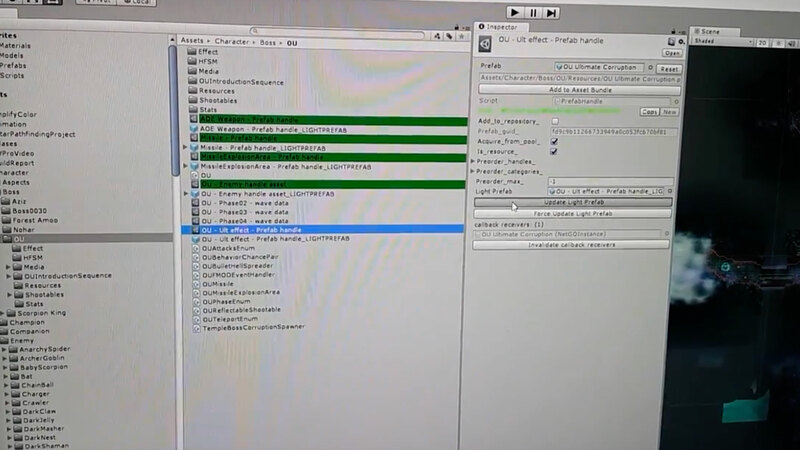 “It was really great to work with Unity for the prototyping phase. Within a week, we could go so far as to have a new character in with rough animations, have the mechanics in there so that someone could try the new character out, and actually see how it feels in the game. And that would only take us five business days max,” Locke says. In addition to feedback from the testers, Dead Mage activated Unity Analytics so they could see how players were behaving as they developed the game. Objective data revealed player preferences, such as which characters were most popular and which powers were being used most. For example, when they experimented with giving all the characters the power to dodge, Unity Analytics showed that this affected players’ use of other powers. Specifically, once the father character had the power to dodge, players stopped using his giant shield because it was easier for them to dodge instead. “As a result of data from Unity Analytics, we attached a whole new set of abilities that can only be activated when you’re holding the shield. So Unity Analytics drove a design decision that we could not have made if we didn’t have all the data that we’d accumulated,” Locke says. Follow this practical guide with information and resources that will get you on your way, save you time, and help you gain the most value when developing 2D games using Unity.